Steven Anthony, better known as Stevie Crooks, was born in Bellflower, CA in the summer of 1987. Having been raised by his grandmother who resided in Compton, Steven quickly adapted himself to the realities of the world around him. It was in 1994, while countless, now quintessential hip-hop albums were released (including: Nas’ Illmatic, Wu-Tang Clan’s 36 Chambers, Biggie’s Ready to Die and Common’s Ressurection) at the age of eight that Crooks was formerly introduced to hip-hop. 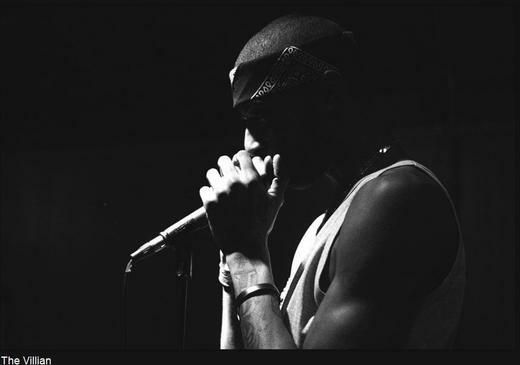 Immediately drawn to the sound, Crooks began experimenting with writing his own music and developing his own sound as a hip-hop artist. Two years later, Crooks’ family moved from crowded Los Angeles county to a smaller, quieter suburb an hour away. Unable to snuff his growing love for not only hip-hop music but the hip-hop culture as a whole, he strived to achieve his dreams no matter where his life took him. It was only after meeting Robert Johnson, better known as Zilla, that Crooks began to mold himself into a true MC with unparalleled work ethic and determination. Johnson, who harbored the same determination as a music producer, and Crooks became close friends. Through their friendship, each became more focused and polished in regards to their respective fields. Now, in his early twenties — Crooks is seen as “Giant of Man” not only physically but internally as well. Crooks’ continual drive to produce innovative, inspiring music has yet to escape him. He is the voice of hip-hop and he will continue to tell the stories of those who have triumphed and failed. He will continue to tell the stories not only of his own life but of those who are lacking the words to tell their own. The soul of Crooks’ music is without borders and without limits. There is that spark in his eyes while on stage that you catch that let’s you know he knows that, too. No limits mean constant growth and success. And he hasn’t stopped yet.